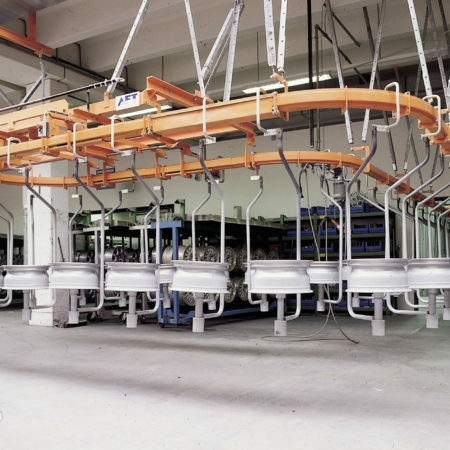 Wherever floor space is limited, ceiling mounted conveyor systems are a striking solution. 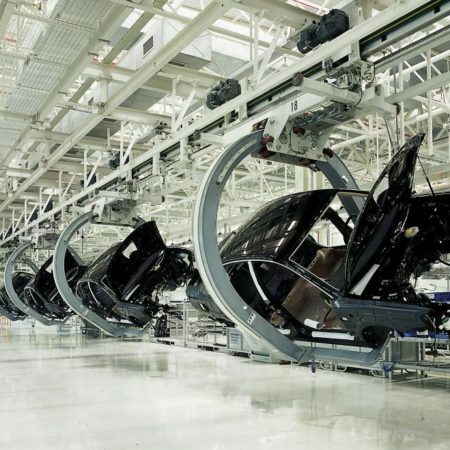 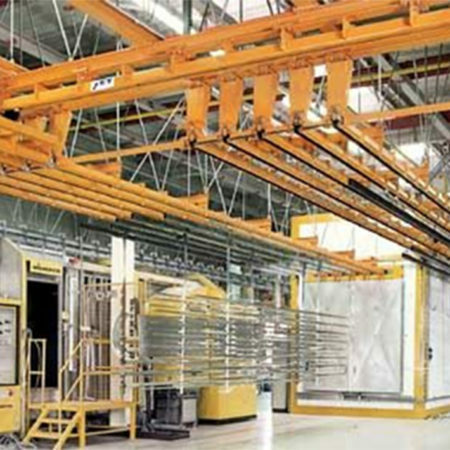 Using otherwise unused space of elevated ceilings or high building stories allows realization of efficient transport solutions, tailored to customers’ requirements. 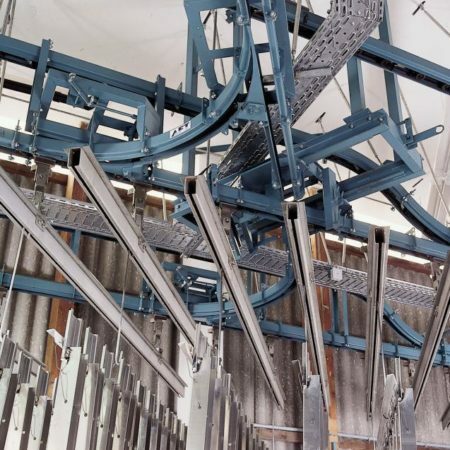 Whether a versatile, top-suspended electric monorail system or an overhead circular conveyor fit best – AFT offers optimal solutions regarding cost efficiency, technology and grade of automation for any customers’ demands.